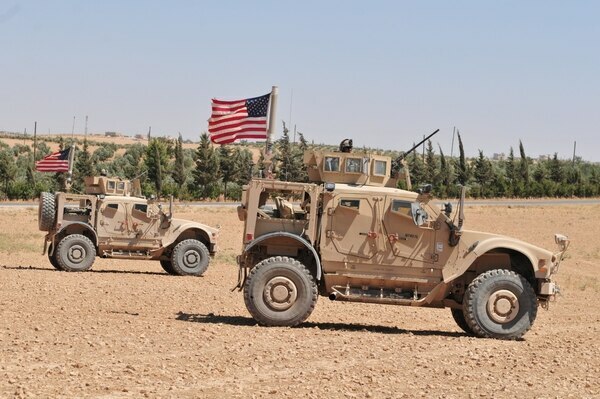 ISTANBUL — Turkey will soon conduct joint patrols with U.S. forces in the strategic northern Syrian town of Manbij, once a stronghold of the Islamic State group, a top Turkish official said on Friday. 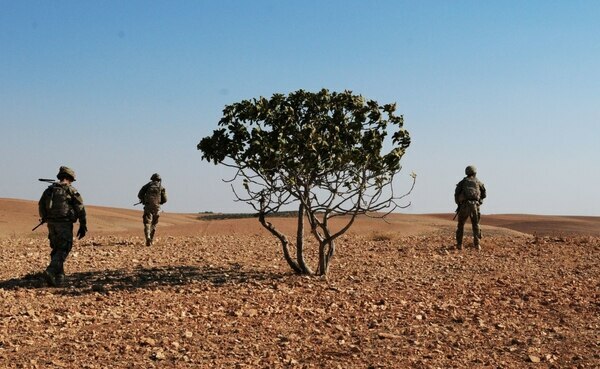 The announcement came as Turkey’s Defense Ministry said in a Friday statement that the borders of Idlib’s demilitarized zone were determined in a meeting with their Russian counterparts during a three-day meeting. This week's agreement between Russia and Turkey to set up a demilitarized zone around Syria's northwestern Idlib province to separate government forces from rebels averted a government offensive on the last major opposition stronghold in the country. The Syrian government and Turkey-backed opposition groups welcomed the Russian-Turkish agreement, which calls for setting up the demilitarized zone by mid-October. Jihadi groups, including al-Qaida-linked fighters, rejected the deal saying they will not withdraw from the demilitarized zone. Ibrahim Kalin, Turkey's presidential spokesman, said Turkish armed forces and intelligence agencies were coordinating with their Russia counterparts to determine how to remove terror groups from the demilitarized zone, or "pacify" them. He said all necessary steps would be taken to ensure no terror elements remain in the area or near Turkey's border be it "through persuasion, by pacifying, or other methods." Kalin added that the goal is to protect civilians in Idlib as well as the moderate opposition to ensure they are part of the political process to resolve the Syrian crisis. In Geneva, the Commission of Inquiry on Syria welcomed the Russia-Turkey deal, adding: "We strongly call for immediate and unhindered humanitarian access and provision of relief to the civilian population of Idlib." In Idlib, residents took to the streets in anti-government demonstrations across towns and villages held by rebels. In the town of Ariha, one of Idlib's largest, hundreds of people gathered in the main square carrying opposition flags and chanting: "The people want to overthrow the regime." Similar demonstrations took part in the towns of Maaret al-Numan and Azaz, as well as the provincial capital, also named Idlib. 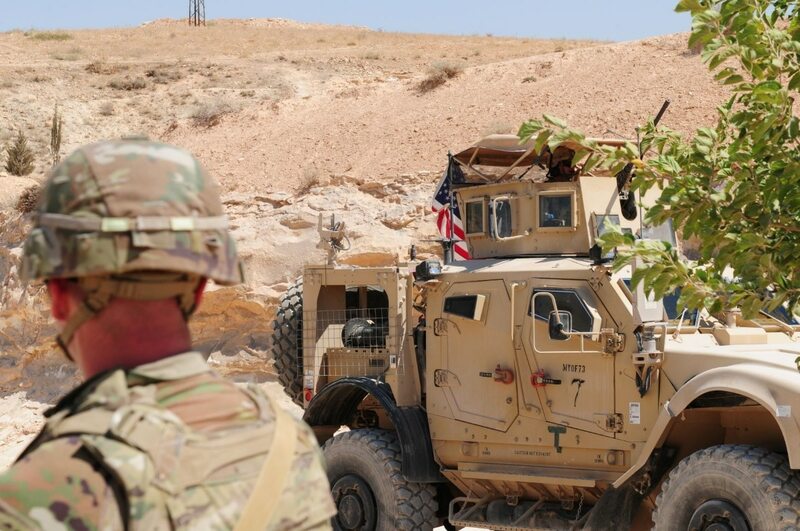 The Manbij patrols are part of a “road map” that Ankara and Washington agreed on in June to defuse tensions amid Turkish demands for the withdrawal of a U.S.-backed Kurdish militia that freed the town from ISIS in 2016. Kalin, the presidential spokesman, said "joint training and joint patrols will begin very soon" in Manbij. Turkey is attempting to strike a fragile balance in Syria with both Washington and Moscow to further its interests, mainly to remove U.S.-backed Kurdish forces from its borders and maintain Syria's moderate opposition in Idlib. Manbij has been a major sticking point in the strained relations between the two NATO allies. Ankara considers the U.S.-backed Syrian Kurdish militia, the People’s Protection Units, or YPG, a terror group that is linked to a Kurdish insurgency within Turkey. Ebrahim Ebrahim, a Europe-based Kurdish official, said the YPG has no presence in the town, adding that even YPG advisers who were in Manbij pulled out months ago. He said that only the Manbij Military Council is the only authority currently present in the town. Associated Press writers Bassem Mroue in Beirut and Jamey Keaten in Geneva contributed to this report.